Home / Savings Blog Posts / Holidays / 25 Mouthwatering Valentines Day Desserts to Try This Year! 25 Mouthwatering Valentines Day Desserts to Try This Year! Say I Love You with one or more of these mouthwatering Valentines Day desserts! Whether you are making these treats for your family, neighbors, co-workers or even school parties, they will fit the festive holiday. You are about to see lots of pinks and reds, that scream Valentine’s Day! There is something magical about Valentine’s Day! Maybe it is all the glitter and pink that mesmerizes so many. Save your money and make these festive desserts for a fraction of the price of buying heart-shaped cookies, cupcakes and more. Who says fudge is just for the Christmas season! Check out this delicious Valentine’s Day fudge recipe. Red, white, and pink and perfectly sweet. Who loves a good brownie? Here is a simple dessert that kids will swoon over as well as adults. Write whatever message you want on each brownie and send a fun message. Serve up these tender and sweet cookie bars that are loaded with colorful M&M’s and topped with frosting to make it extra sweet. These cookies are SO easy to make, and boy are they a treat. I love the Hugs Kisses on top, it is colorful and different but also the perfect smooth pairing to red velvet. This donut is a perfect treat, that I classify as breakfast or even a dessert. Sweet enough you feel like you are indulging! A no-bake dessert that will knock your socks off. These truffles are going to be one dessert you will want to sink your teeth into. Great for parties, or even a midnight snack. Here you have layered jello that is stunning for presentation and so simple to make. It looks extravagant but takes minimal effort. Chocoholics will swoon over this ooey-gooey chocolate dream. Add in some fresh strawberries and skip ordering takeout from your favorite restaurant. Not a fan of chocolate? That is okay, these rose puffs are made with fresh apples and light and refreshing with the right amount of sweetness in every single bite. Grab a strawberry cake mix and transform it into a light and chewy cookies with M&M’s. It gives you that strawberry and chocolate flavor in each bite. Light, sweet, and a swirl of cheesecake in every single bite is what you get in these red velvet brownies. This is hands down one of the tastiest cheesecake brownies out there. Look at how stunning this Valentine dessert is. Light, and fluffy with fresh raspberries and sauce drizzled on top. Trust me this taste even better than your favorite restaurant. Who knew making mousse was so easy, this is a 5-minute recipe that will give you that silky smooth chocolate mousse you are hoping for! 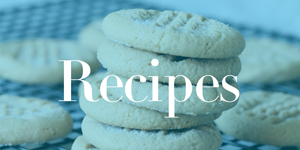 If you love sugar cookie bars, try out this small batch recipe. I love the candied heart topper so each bar has a little red heart! The perfect way to end a long day. This simple dessert is great for hosting a dinner party, wanting to treat your family, or making to take to work. So simple and the presentation is stunning. What a dream! Vibrant chocolate with a fresh twist from the raspberries throughout. This is one incredible dessert that you will want to savor each bite. Here is a super simple poke cake that has chocolate ganache inside so over bite offers rich chocolate to a light and fluffy cake. Make a homemade red velvet pudding that is creamy, silky, and the perfect richness so each bite is delicious. What a delightful dessert the whole family will love. Wow, aren’t these a beauty! A light and flaky puff with a whipped center and topped with a fresh piece of fruit. This is one outstanding dessert that is such a gorgeous dessert to serve up. A swirl roll is always welcome in my book. This is a Valentine twist as it has a raspberry and chocolate take which is magical in flavor. Here you have a sugar free dessert that takes minutes to prepare. Light, fluffy cake, fresh strawberries and a dollop of whipped cream. Wow, these whoopie pies look outstanding. A whoopie pie is a creamy filled center that has two cake-like cookies that smashing the filling. Here is a cupcake that is pink and pretty but also delicious down to the last crumbs! Delightful flavors of champagne with homemade creamy frosting. Here is one gorgeous cake to serve up to a crowd. The mix of chocolate and cherries is always such a delight. A moist cake that offers such a pretty presentation. Get a marbled look of pink and white that is beautiful. These cookies are light, flakey and highly addictive. Great to make for kids or adults. What is your favorite Valentines Day Dessert?